Sheet sintering, also known as true diffusion bonding or simply sintering, is a process which utilizes temperature, atmosphere, time and pressure for re-aligning and permanently bonding the molecular elements of an alloy at their intersection or touching point. The product is available in single or multiple layer construction and this process creates a secure and stable mesh which can be used for high pressure and filtering pressure applications. Coil sintering is a method that utilizes temperature, time and atmosphere to stick or secure intersection wires and it creates a secure and stable mesh which is suitable for deep drawing and decreasing the risk of loose edge wires. The product is available in single layer options only. Plate like mesh: This plate-like filter medium has five different mesh layers bonded together to obtain the best combination of backwashing properties, stability and flow rate. It is suitable for use in finest filtrations under high pressure and tough conditions. Significant load capacities can be obtained by combining mesh with a range of support meshes. It has numerous applications such as silo aeration, nutsche filters, fluidized beds, biotechnology, centrifuges, filtration of highly viscous liquids etc. Extremely porous mesh: It is an extremely porous filter medium which is designed to obtain high flow rates with moderate loadings. It ensures excellent cleaning and backwashing and is a five layer example demonstrating a decreased thickness of 1.7mm to 1.8mm. This screen can be enhanced using additional support meshes for extreme loadings and it has its applications in gas and liquid filtration because of its backwashing capabilities and high flow rates. TOPMESH 2: Topmesh 2 was manufactured to compensate for the decreased rigidity of finer meshes which are used in filtration. 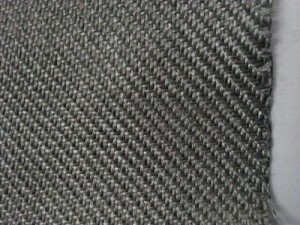 Stabilization is achieved at best backwashing properties and medium pressure loadings using the combination of a support layer using square weave mesh and a filter mesh. Topmesh 2 is appropriate for CIP filters (Cleaning in Place) which are used in the pharmaceutical industry. Larger diameters and high pressure applications might need additional support elements. Topmesh 2 is used in surface filtration for dust removal, backwashing filters (also automated), liquid/solid filtration, sieve plates, cleaning baskets for small components, de-aeration filters etc. TOPMESH 3: Topmesh 3 has an extra layer, known as bonded layer, between the square weave support mesh and the filter mesh. High pressure loadings can be handled by superior backwashing capabilities and virtually constant minimal flow resistance. Topmesh 3 is suitable for use with CIP (Cleaning in Place) filters, nutsche filter plates, drying plant, stable de-aeration filters, filter drums for cooling lubricant equipment, spray dryers, baskets for cleaning equipment etc. Twilled mesh: It has two or three layers which are offset layers of twilled mesh. This laminate is converted into an air permeable metallic membrane having minimal porosity and advanced levels of stability due to the additional surface thickness. This mesh is specifically appropriate for applications which need high flow resistance and is used in fluidized beds, pneumatic conveyors, fluidization components, aeration components etc.